I’ve been holding onto a secret these past 6 months and now I can tell you what it is. 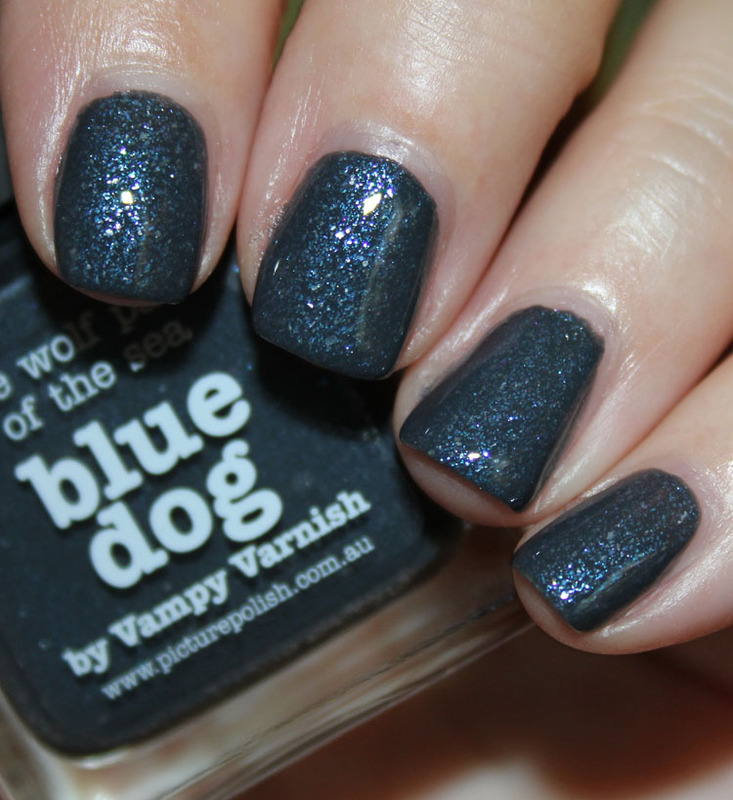 I’ve created a nail polish shade with piCture pOlish called Blue Dog! I was very excited when piCture pOlish approached me for this project last year. I’ve actually had this polish idea sitting in the back of my mind for years and years and thought this would be the perfect opportunity to create it. 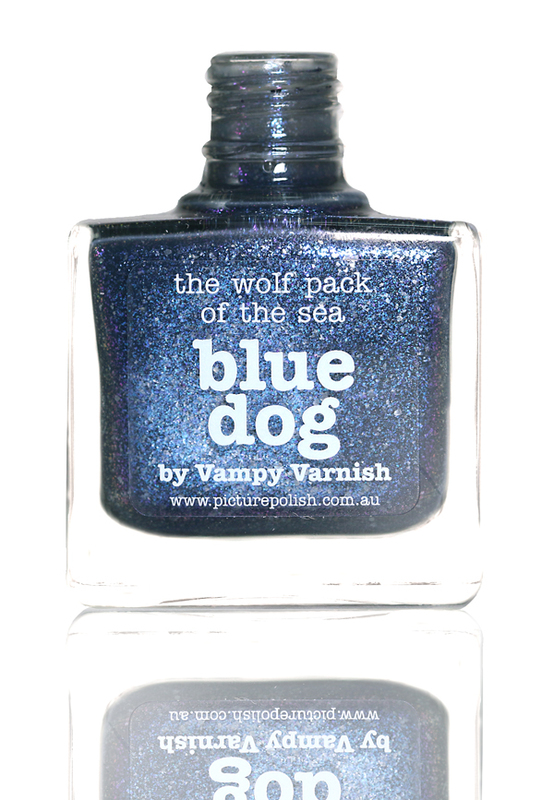 It will all make sense when I explain what Blue Dog “the wolf pack of the sea” means. 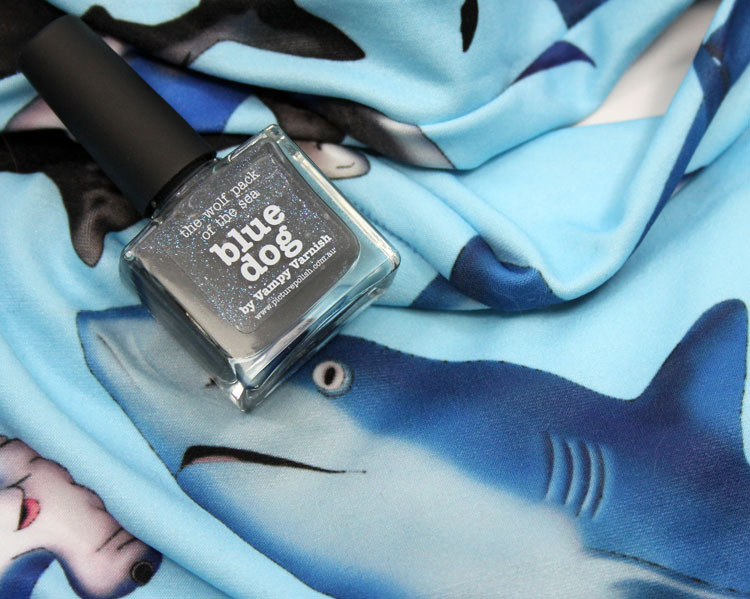 The idea I had for so long was to create a nail polish shade that mimicked a shark’s skin under water. 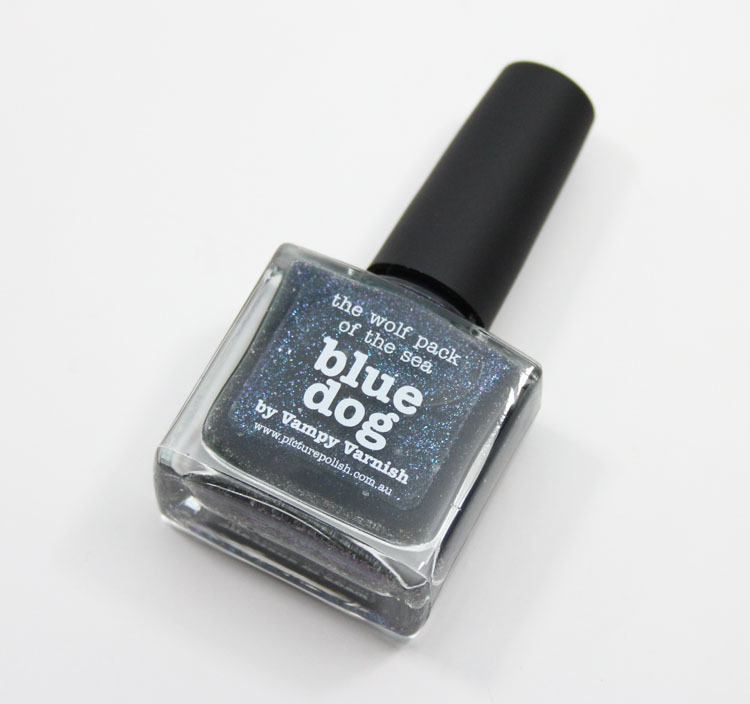 Blue Dog is just that. It has a base color that changes from grey to blue depending on the lighting. 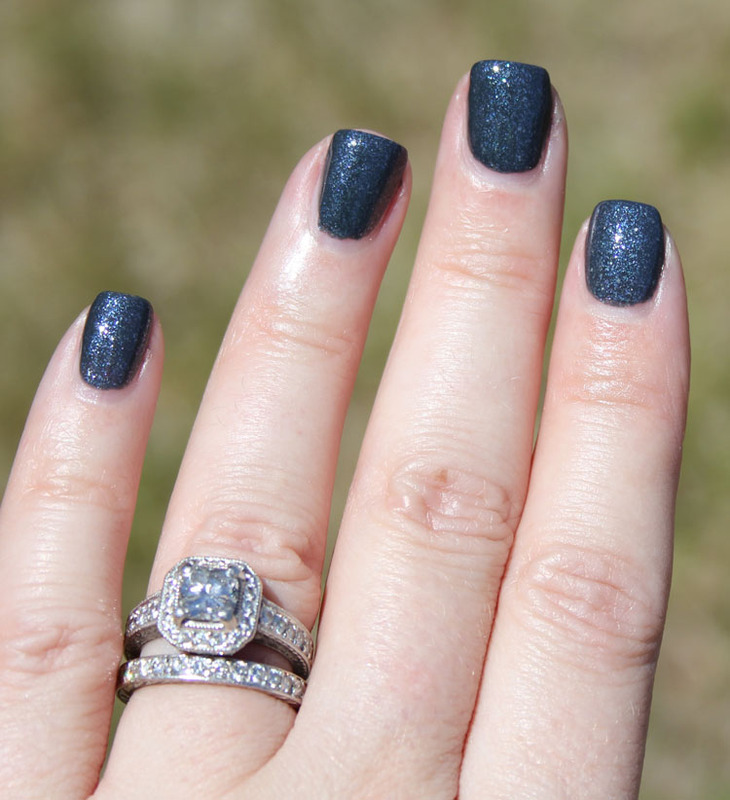 It has glass flecks of teal blue, which look purpleish sometimes, and then it’s finished off with white shimmer. The effect of this mimics a blue shark’s skin on the top and the white shimmer represents the white underbelly of the shark. They got the shade perfect in just one shot. It’s a great formula as well! It flows very nicely and covers completely evenly in just two smooth coats. 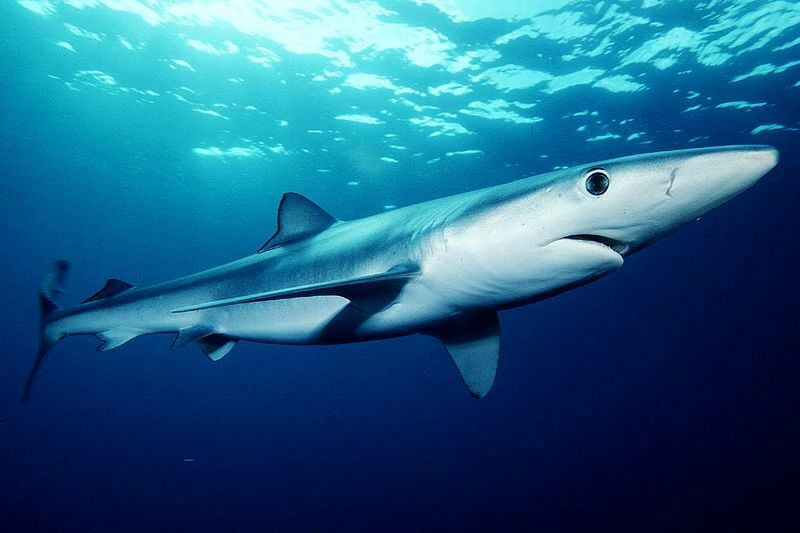 Blue Dog is a nickname they give blue sharks and because they hunt in packs, they call them the wolf pack of the sea. 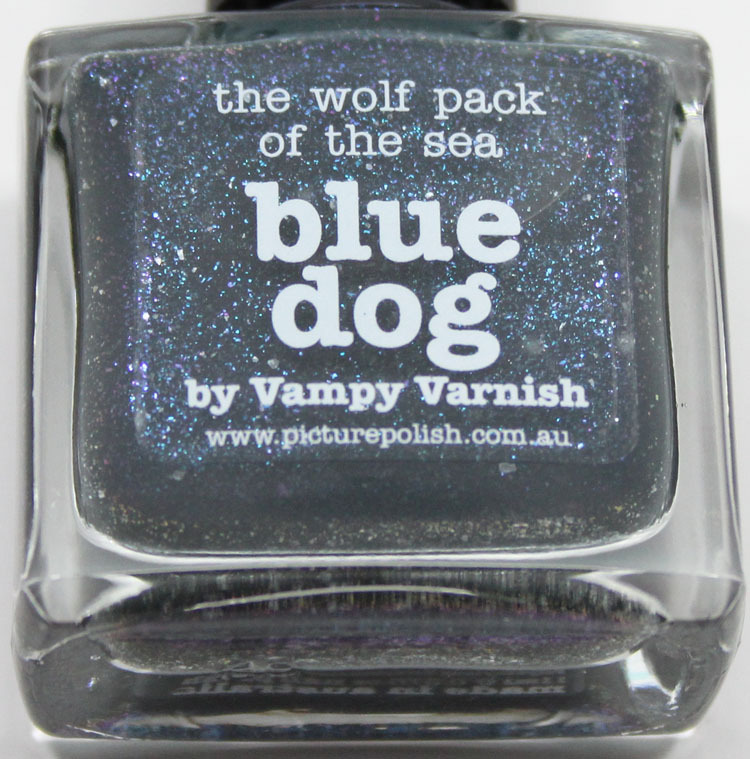 I thought this was so perfect to have piCture pOlish make this shade because they are based in Australia where there are lots ‘o sharks! But there is another reason I wanted to create this shade. I have a fascination with sharks and always have. I also know that they are in desperate need of being protected because they are very over-fished. Around 100 million sharks are killed every year, mostly for shark fin soup. So having said that I will be donating 10% of what I make from each bottle to the Monterey Bay Aquarium Sharks & Rays Research program here in California. I am really pleased with the way this shade came out. It’s always changing and the deep grey/blue color with the glass flecked shimmer is so beautiful. Thanks so much to everyone at piCture pOlish for this opportunity, it’s been amazing! 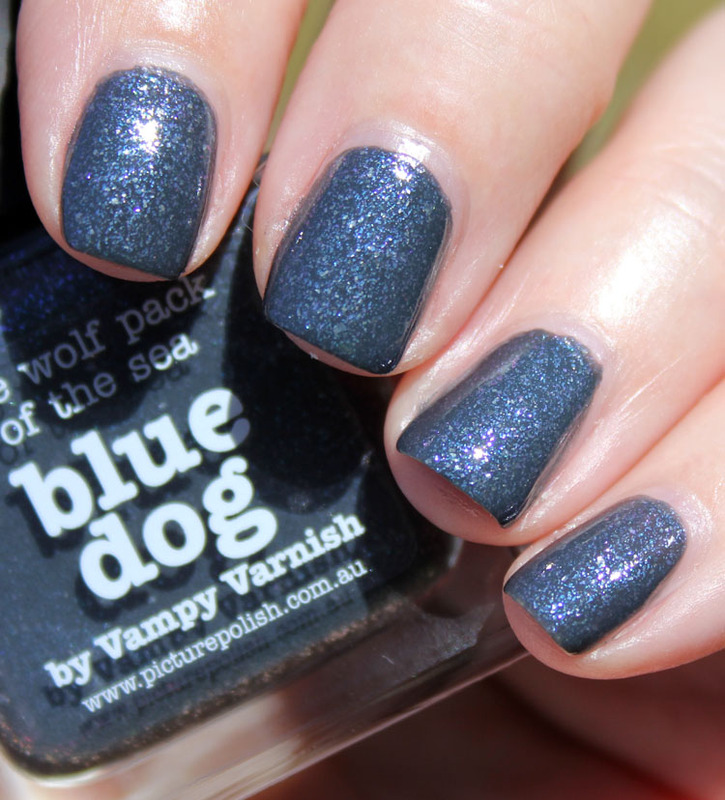 piCture pOlish Blue Dog by Vampy Varnish will be available on their website starting on May 26th (it might be May 27th depending on where you live).